We are very excited to be hosting an upcoming panel discussion with The Pulitzer Center on January 12th from 6 - 8 PM. 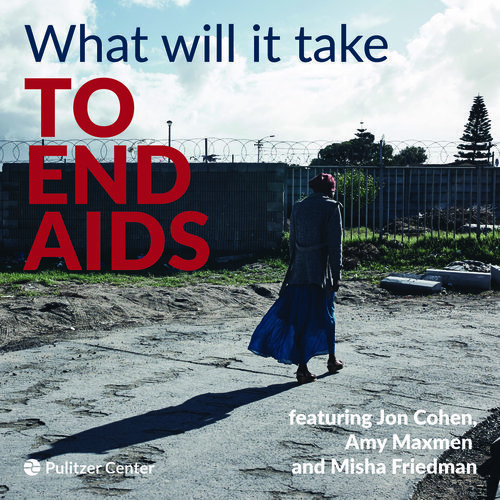 Please join us as Pulitzer Center supported journalists Jon Cohen, Amy Maxmen, and Misha Friedman discuss their reporting on HIV/AIDS around the globe. Jon Cohen's nuanced writing and video explore the movement to end AIDS. Amy Maxmen reports from South Africa where scientists are working to break a cycle of infections in young women. Misha Friedman's work explores the human side of the crisis: he has spent years documenting the crisis in Eastern Europe and recently returned to South Africa to photograph HIV-infected subjects he first interviewed three years ago. The Pulitzer Center supports in-depth reporting and educational programming about a myriad of under-reported global issues. Please join us in a photography presentation and panel discussion to explore just what it will take to end AIDS. All current members of SF Camerawork are invited to participate in our monthly member critique. This is a great opportunity to get direct feedback on your work and photographic practice by SF Camerawork's staff and wider photographic community. 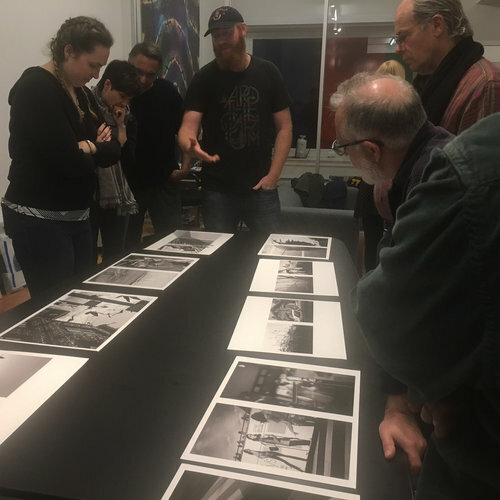 If you are interested in participating in December's critique, please email joseph@sfcamerawork.org with the subject "January Members' Critique." 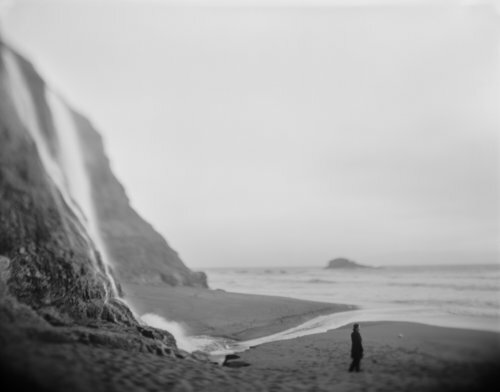 SF Camerawork is excited to be hosting an 8x10 workshop with Impossible Project and FotoFilmic on January 27, 2017 from 6 - 9 PM. This three-hour workshop will offer hands-on demonstration on how to use a 1920s 8x10 large format camera with 8x10 Impossible Project instant film, and a practice session where all participants get to shoot their own take and keep portrait. There is room for up to 15 participants and registration is open until January 25th. 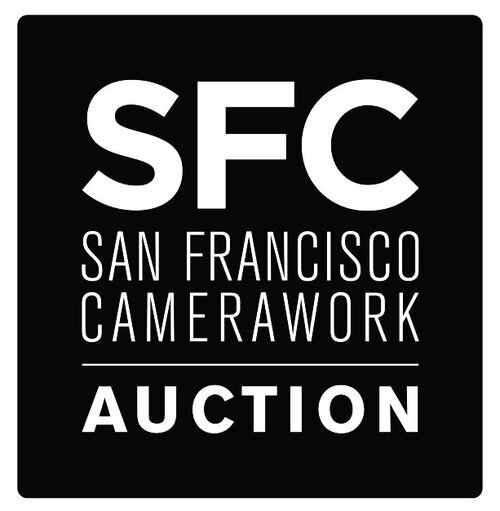 Registration costs, which cover use of all photographic equipment, film and related gear is $125 to the general public and $100 to current SF Camerawork members. Learn more here. As an added bonus, all workshop participants will receive discounted entries to FOTOFILMIC17, the FotoFilmic International Traveling Exhibition Competition. Discounts will include $10 off the EXHIBITION call for entry fee and $15 off the EXHIBITION + BOOK call for entry fee. SF Camerawork kicks off the second year of our popular Storytellers lecture series with award-winning American photojournalist Paula Bronstein. Bronstein will be speaking about her latest work and signing copies of her new book Afghanistan: Between Hope and Fear. 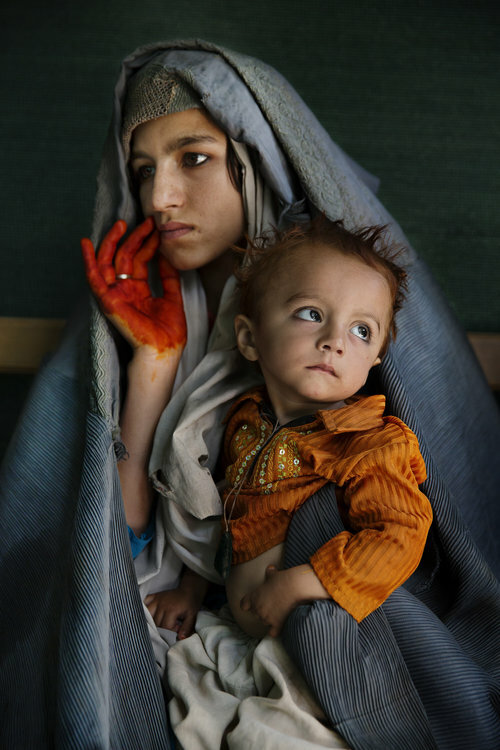 Over the past 14 years, Bronstein has traveled to Afghanistan to document the daily lives of the Afghan people. Her work gives voice to many Afghans who remain silenced by the Taliban repression, particularly women and children. Bronstein's searing photographs depict the country's on-going challenges as well as the stirrings of new hope. Bronstein counters images of human rights abuses, poverty, self-immolation, and heroin addiction with images of women participating in elections, attending rallies, and receiving an education for the first time. At the core of Bronstein's work is her compassion for her subjects and her ability to gain extraoridary access to document the hope and beauty as well as the harsh realities of their lives. The Storytellers lecture series is curated in collaboration with Judy Walgren, a Pulitzer Prize-winning photographer and currently the editorial director for ViewFind. Storytellers presents cutting-edge photographers from across the country whose approach to visual storytelling often blurs the lines between journalistic, documentary, and fine art photography. The "story" embedded in a photograph or group of photographs is what creates the understanding and connection between audience and photograph. Photojournalism has been the cornerstone of this narrative approach to image-making, but with shifting trends in photography production and consumption, Storytellers aim to broaden the conversation in and about successful modes of photographic practice. This year's Member for a Day event is February 12th! 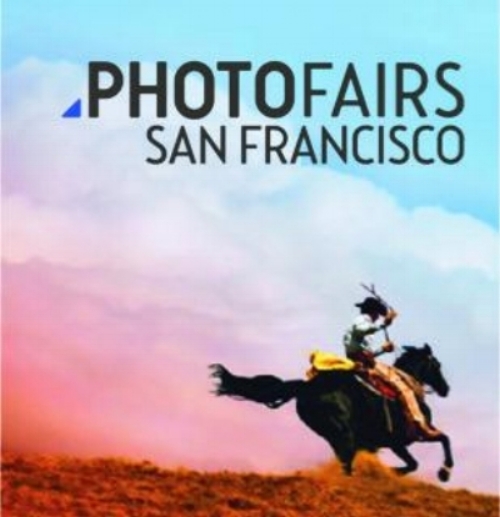 All current SF Camerawork members enjoy free admission to all participating venues. Simply present your membership card for two free general admissions per membership at each location; some restrictions apply. Check with each location for details of open hours and a listing of exhibitions on view. If you are not a current member, renew by February 7th and receive your membership card right away! Click here to renew your membership or to become a new member. Please join us on Thursday, February 23, 2017 for the opening reception of Signal to Noise, a solo exhibition featuring the work of Sanaz Mazinani. All current members of SF Camerawork are invited to participate in our monthly member critique. This is a great opportunity to get direct feedback on your work and photographic practice by SF Camerawork's staff and wider photographic community. If you are interested in participating in the February critique, please email joseph@sfcamerawork.org with the subject "February Members' Critique." On Thursday, March 9th, artist Sanaz Mazinani will be joined by Marc Mayer, Senior Educator of Contemporary Art, Asian Art Museum to discuss the artist's work and current exhibition. Please join us in the gallery to learn more about the artistic process and conceptual underpinnings that produce Sanaz Mazinani's unique three-dimensional photo montages. All current members of SF Camerawork are invited to participate in our monthly member critique. This is a great opportunity to get direct feedback on your work and photographic practice by SF Camerawork's staff and wider photographic community. If you are interested in participating in the March critique, please email joseph@sfcamerawork.org with the subject line "March Members' Critique." Spots fill up fast so don't wait to sign up! Image courtesy of Glen Graves. Please email michael@sfcamerawork.org with "April Members' Critique" if you are interested in participating. Space is limited. We are thrilled to be hosting an evening of artist talks featuring presenters Lucas Foglia, Erica Deeman, and George McCalman. This lecture series is produced by Creative Mean, which brings together professionals from different mediums and industries for bi-monthly talks at rotating venues around the Bay Area. Creative Mean creates a space for speakers and attendees to both challenge and clarify notions around their own creative practices by connecting talented people from different backgrounds. Lucas Foglia is a photographer who builds stories rooted in rural America. His work feels simultaneously allegorical and uniquely specific. The second speaker, illustrator and art director George McCalman, runs a thriving design studio centered around an enduring sense of community and collaboration. And the final speaker, Erica Deeman, whose large format portrait project tackles issues of race, identity, and gender, will sit for a conversation with Creative Mean host Jeff Enlow. Please join us in the gallery on Thursday, May 11, 2017 for the opening reception of Steve Cagan's exhibition Working Pictures and Wesaam Al-Badry's project Our Sons. Come and see how these two photographers devote themselves to progressive social change, peace, and justice through their work. You can learn more about these two exhibitions here. All current members of SF Camerawork are invited to participate in our monthly members' critique. This is a great opportunity to get direct feedback on your work and photographic practice by SF Camerawork's staff and wider photographic community. 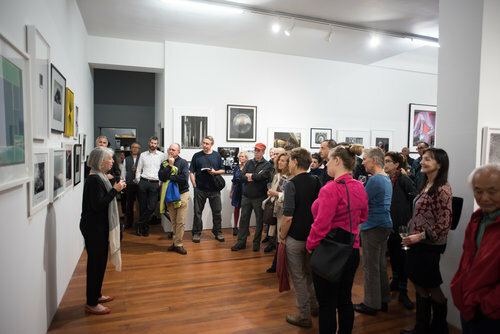 If you are interested in participating in the May critique, please email joseph@sfcamerawork.org with the subject line "May Members' Critique." Spots fill up quickly so don't wait to sign up! Join us in the gallery on Tuesday, May 16th, for the second evening of our Storytellers Lecture Series featuring Photo Editor at Mother Jones magazine Mark Murrmann and exhibiting artist Steve Cagan. Steve Cagan has been photographing since the mid-1970s in a mode he describes as activist or socially-engaged photography. Cagan's work gives voice to causes both local and international, ranging from the demise of industry and labor issues in his home state of Ohio, to the social and political strife of refugees in El Salvador and Nicaragua. As part of our Storytellers Lecture Series, he will be discussing his work and how he uses photography to give voice, exposure, and positive representation to the groups he is intimately involved with. Mark Murrmann is Photo Editor at Mother Jones magazine where he oversees and assigns all photography. Before joining Mother Jones in 2007, Mark worked as a freelance photographer, music writer, and an editor of the the iconic punk magazine Maximum Rocknroll. Mark will discuss his documentary work and show a selection of images recently published in a series of zines: Rat Crawl, Future/Now and Gone With the Dogs, among them. He will discuss his creative approach to his work, his sense of authorship as a photographer, and how he has developed a consistent visual style across different photographic genres. The Storytellers lecture series is curated in collaboration with Judy Walgren, a Pulitzer Prize-winning photographer and currently the editorial director for ViewFind. Storytellers presents cutting-edge photographers from across the country whose approach to visual storytelling often blurs the lines between journalistic, documentary, and fine art photography. The "story" embedded in a photograph or group of photographs is what creates the understanding and connection between audience and photograph. Photojournalism has been the cornerstone of this narrative approach to image-making, but with shifting trends in photography production and consumption, Storytellers aims to broaden the conversation in and about successful modes of photographic practice. Image courtesy of Wesaam Al-Badry. This image depicts the refugee camp where Wesaam and his family spent four-and-a-half years. SF Camerawork is thrilled to host the first Open Show of 2017, guest curated by ViewFind, a platform for visual storytelling. Open Show organizes live social events where the public can experience compelling visual stories and interact directly with photographers, filmmakers, and multimedia producers. From reportage to documentary to fine art and everything in between, there are no real restrictions on what to submit. Simply put, if you're creating something visual, Open Show wants to see it. This event is designed as an interactive forum where audience members can provide feedback and ask questions. So even if you don't submit a project, you might just leave inspired to start your own. Wesaam Al-Badry, whose work is currently on display in the gallery, will talk about his project to trace his family's life from Iraq to the refugee camps, and then to the United States. SF Camerawork is proud to host this pop-up exhibition which is a part of Streetfoto San Francisco, an annual international festival dedicated entirely to the art of street photography. This exhibition, on view from June 5 through June 10, will feature photographers Steven Bollman and Blake Andrews. Please join us in the gallery on Wednesday, June 7th from 6 to 8 PM for the exhibition's evening reception. 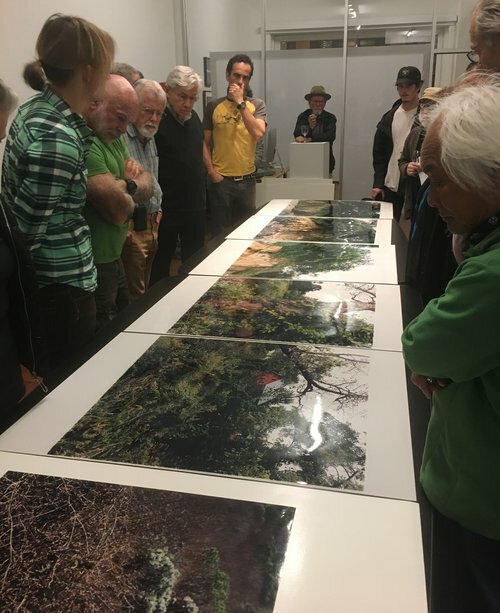 Scene from June Members' Critique; Photographs by Deana Collins. Wesaam Al-Badry, Image from the series "Rosebud"
Please join us in the gallery on Tuesday, June 13th from 6 to 8 PM for a roundtable discussion with photographers Wesaam Al-Badry, Joel Angel Juárez, and Desiree Rios. Together they will discuss their approach to photography when working within social movements. All three photographers are currently working on projects that document social, cultural, and political issues within the United States and abroad. Wesaam Al-Badry was born in Nasiriyah, Iraq, and lived at a refugee camp in Saudia Arabia until his family was relocated to Nebraska in 1994. He began photographing while still at the refugee camp, and has worked on many journalistic and documentary projects addressing social issues. He is currently photographing for CNN and Al-Jazeera America while pursuing his BFA in Photography at the San Francisco Art Institute. Wesaam Al-Badry's Our Sons will be on view in the gallery space at SF Camerawork through July 1, 2017. 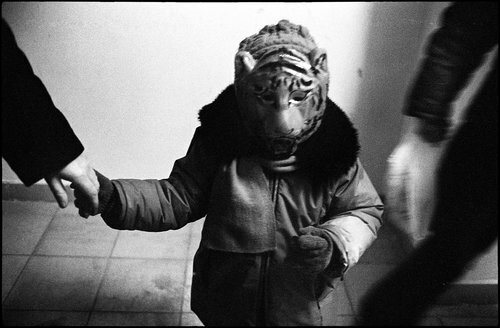 Joel Angel Juárez is a Mexican-American freelance photojournalist currently studying journalism and international relations at San Francisco State University. He has done work with the San Francisco Examiner, San Francisco Chronicle, ZUMA Press, Anadolu Agency among others. Juárez's work has focused on issues surrounding police brutality, immigration, power dynamics and natural resources. He has covered areas ranging from the impact of police brutality on communities in the San Francisco Bay Area, the plight of refugees crossing the Aegean Sea from Turkey into Greece, and the conflicts over the Dakota Access Pipeline near the Standing Rock Indian Reservation. Desiree Rios is a Mexican-American photojournalist from Fort Worth, Texas. She received a BS in Photojournalism at St. John’s University in New York and a MFA in Photography from the San Francisco Art Institute. Her work focuses on sociopolitical issues in both foreign and domestic forefronts. Her recent projects include documenting the transition of Old Havana due to current Cuba-United States relations, the ongoing journey of an undocumented family displaced by the San Jose flood, and the effects of the strict immigration policies passed in her home state of Texas. 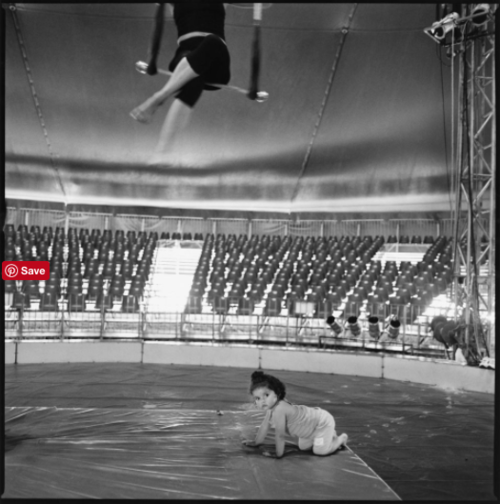 Wiesje Peels, Circus Renaissance from the series "Mimus"David Butow. Image courtesy of the photographer. Please join us in the gallery on Thursday, July 13th from 6 - 8 PM as we celebrate the artists selected for CIRCUS, the 2017 SF Camerawork Annual Juried Exhibition. All current members of SF Camerawork are invited to participate in our monthly members' critique. This is a great opportunity to get direct feedback on your work and photographic practice by SF Camerawork's staff and wider photographic community. If you are interested in participating in the July critique, please email joseph@sfcamerawork.org with the subject line "July Members' Critique." Spots fill up quickly so don't wait to sign up! Please join us on Thursday, July 27th from 6 - 8 PM with CIRCUSjury panel Linde Lehtinen (Assistant Curator of Photography at SFMOMA), Paloma Shutes (Photo Editor at California Sunday Magazine), and Arthur Tress (Photographer of Documentary Surrealism) as we walk through the exhibition and discuss the artwork and how it responds to the concept of the "circus." All current members of SF Camerawork are invited to participate in our monthly members' critique. This is a great opportunity to get direct feedback on your work and photographic practice by SF Camerawork's staff and wider photographic community. If you are interested in participating in the August critique, please email joseph@sfcamerawork.org with the subject line "August Members' Critique." Spots fill up quickly so don't wait to sign up! Please join us Thursday, September 7th from 6 - 8 PM for the Opening Reception of our exhibition Begin Anywhere: Paths of Mentorship and Collaboration featuring artists Amanda Boe, McNair Evans, and Kevin Kunishi along with their mentors - Jason Fulford, Todd Hido, Mark Mahaney, Mike Smith, and Alec Soth. We are proud to co-host this event with California Sunday Magazine, and to have Fort Point Beer Company as an event sponsor. On Wednesday, September 13th artists Amanda Boe, McNair Evans, and Kevin Kunishi will be in the gallery to discuss their work and lead attendees on a walkthrough of the current exhibition Begin Anywhere: Paths of Mentorship and Collaboration. Please join us to learn more about the artists' approach to artistic mentorship, and to hear them discuss the bodies of work included in the exhibition. Amy Osborne, Taylor Miller’s aunt, Jenny Lindsey, pins a shoulder board during Miller’s promotion to Coast Guard lieutenant at the Long Beach, Calif., base in January. Miller’s aunt and her husband accept her transition. Miller’s parents have disowned her. Join us in the gallery on Tuesday, September 19th, for the third evening of this year's Storytellers Lecture Series featuring photographers Amy Osborne and Josh Smith. 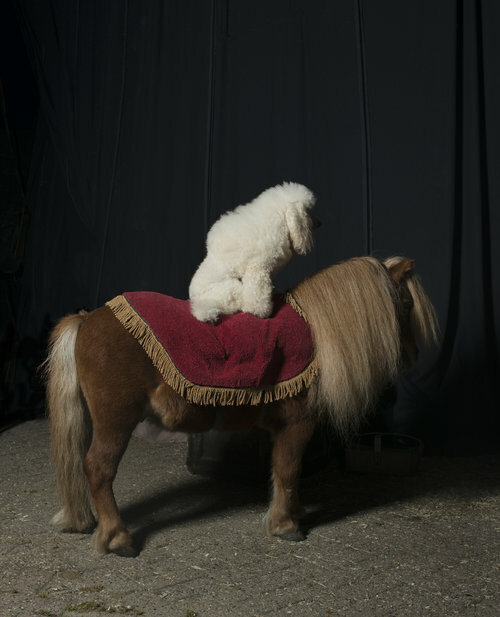 Amy Osborne is a photojournalist and documentary photographer based in San Francisco who specializes in long-term projects. For the past year, Amy has been documenting Lieutenant Taylor Miller, the first openly transitioning officer in the Coast Guard. Amy's project was recently published in theWashington Post, and the story prompted the Coast Guard Commandant to take a stand on the issue. Following the story's release, he personally reached out to Lieutenant Miller and publicly vowed he would not break faith with transgender members of the Coast Guard. Amy continues to document Taylor's transition and plans to continue photographing Taylor as she completes gender reassignment surgery. Amy also works part-time as a contributing photographer for the San Francisco Chronicle and as a full-time mom. Born in Springfield, Missouri, Joshua Smith earned his M.F.A. in photography from the San Francisco Art Institute, and has been living and working in the Bay Area since 2004. Throughout his career, he has explored various photographic projects. His most recent project, The First Years, documents his own expanding family. When he and his wife had two boys within two years of each other, they experienced a swift change in their family dynamic and had to confront the unknown. The unremitting demands of parenthood contained joy, tenderness, vulnerability, frustration, and fear all at once. The weight of being fully needed by their children afforded a sense of purpose, but also denied them their autonomy and individuality. Under the guise of family historian, Smith works to examine and better understand this new way of being. Through this process, he explores all the contradictions and intricacies that exist within the complex and universal realm of family. Smith has exhibited widely within the Bay Area and beyond, including Stanford University, the a.Muse gallery in San Francisco, and SF Art Market. Smith is a photography instructor at Marin Academy and resides in Pacifica, CA with his wife and two sons. Please email joseph@sfcamerawork.org with "August Members' Critique" if you are interested in participating. Space is limited. Please join us at C + M cafe in the War Memorial Veterans Building on September 22nd for the opening reception of Self/Guided. This exhibition is presented by the San Francisco Arts Commission (SFAC) Galleries, in partnership with SF Camerawork, and features photographs from SF Camerawork's Fine Print Program. 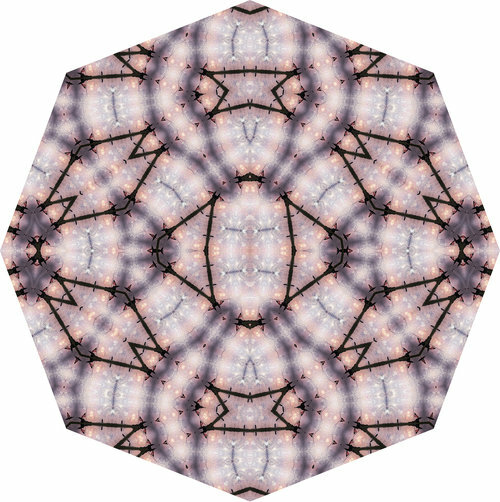 Curated by Marilyn Claes, Self/Guided, responds to the SFAC Main Gallery exhibition, An idea of a boundary, and examines the connection between structural boundaries and self-identity. Please join us on Tuesday, September 26th from 6:30 - 8:30 PM for an artist talk and book signing with photographers Alex Webb and Rebecca Norris Webb. They will show work from a number of projects, both published and unpublished, and discuss the creative challenges of working together and apart over the past three decades. The creative couple will show photographs from individual projects -- including Rebecca's My Dakota, her meditation on loss and landscape, and Alex's La Calle some 30 years of work from Mexico -- as well as their new collaborative book, Slant Rhymes, and joint work-in-progress The City Within. 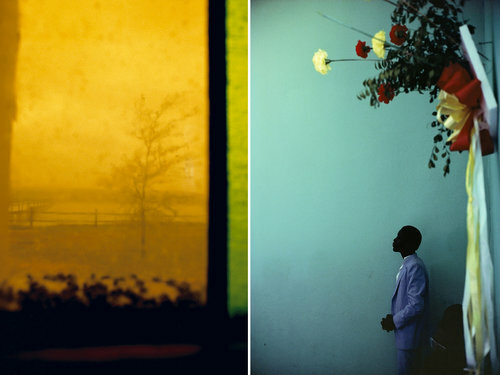 Alex Webb is known for his vibrant color work, including The Suffering of Light, a survey book of 30 years of his color photographs. He’s exhibited at museums worldwide including the Whitney Museum of American Art, NY, the High Museum of Art, Atlanta, and the Museum of Fine Arts, Boston. A Magnum Photos member since 1979, his work has appeared in The New York Times Magazine, National Geographic, and other publications. He has received numerous awards including a Guggenheim Fellowship in 2007. His most recent books are La Calle: Photographs from Mexico and Slant Rhymes, the latter with Rebecca Norris Webb. He’s represented by Robert Koch Gallery in San Francisco. 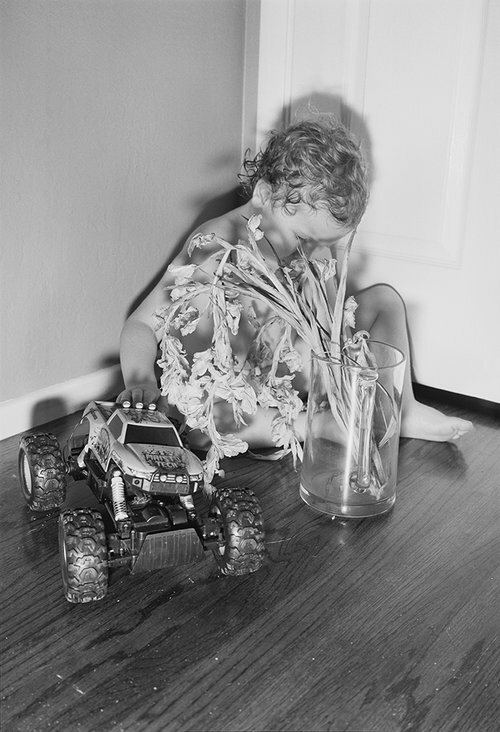 Originally a poet, Rebecca Norris Webb often interweaves her text and photographs in her six books, most notably with her monograph, My Dakota—an elegy for her brother who died unexpectedly—with a solo exhibition of the work at The Cleveland Museum of Art in 2015. Her work has appeared in The New Yorker, The New York Times Magazine, National Geographic, and is in the collections of the Museum of Fine Arts, Boston, Cleveland Museum of Art, and George Eastman Museum, Rochester, NY. A new edition of Violet Isle: A Duet of Photographs from Cuba (with Alex Webb) will be published in 2018. She’s represented by Robert Koch Gallery in San Francisco. All current members of SF Camerawork are invited to participate in our monthly members' critique. This is a great opportunity to get direct feedback on your work and photographic practice by SF Camerawork's staff and wider photographic community. This month we will be joined by special guest Alice Shaw, an artist and educator based in San Francisco, CA. Shaw is an Artadia Grant Awardee and is included in the collection of the San Francisco Museum of Modern Art. Her book People Who Look Like Me was published by Gallery 16 in San Francisco, where her work is represented. She currently teaches at the California College for the Arts. If you are interested in participating in the October critique, please email kristina@sfcamerawork.org with the subject line "October Members' Critique." Spots fill up quickly so don't wait to sign up! Please join us in the gallery on Tuesday, October 3rd for a discussion with exhibiting artists Amanda Boe, McNair Evans, Kevin Kunishi, Jason Fulford, Todd Hido, and Mark Mahaney. Together, they will discuss the collaboration that produced our current exhibition, as well as the broader possibilities and influences of artistic mentorship. and Việt Lê, Assistant Professor, CCA"
On Wednesday, October 4th, we are pleased to present an artist talk and book signing with artists Tomiko Jones and kate-hers RHEE. Tomiko Jones’ work is linked to place, a loose mapping of landscape, and explores transitions in the landscape in social, cultural and geographical terms. 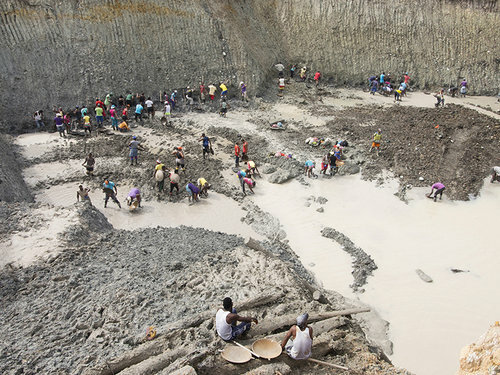 Her work considers the twin crises of too much and too little water in the age of climate change–water as site of cultural practice, economic imperative, and locus of spiritual belief. Her projects include Hatsubon, a two-volume project in photography and video installation; the long-term project Rattlesnake Lake; and the immersive theatre performance The Gretel Project, a four-person collaboration. As Visiting Artist and Curator-in-Residence at California Institute of Integral Studies (CIIS) in San Francisco, Tomiko developed Cumulus, an exhibition and programming series examining environmental issues. Born in Seoul, South Korea and raised in racially segregated, working class suburb of Detroit Michigan, kate-hers RHEE’sinterdisciplinary work reflects the complex nature of miscast identity, cultural dislocation, and gendered interactions. Her work draws on interdisciplinary fields, including transnational feminism, visual anthropology, post-colonialism, and diaspora studies. For this artist talk, RHEE will discuss the evolution of her politically engaged work as an artist and her dogged pursuit of cultivating creativity and playful improvisation in her artistic practice. She will touch on past work and influences to frame the context of her current interdisciplinary project, called Modern Beauty Ideals in the Age of Digital Technology or If I can K-Pop dance, I’ll be part of your beauty revolution. This work takes the form of photography, painting, drawing, sculpture, video, internet art, installation and social intervention to engage hetero-patriarchal global beauty ideals and accompanying digital technology from a transnational feminist perspective. kate-hers also has work is this year's SFC Annual Benefit Auction on October 28th. Please join us on October 11th for an evening of artist talks and book signing with photographers Kerry Mansfield and Steven Seidenberg. Kerry Mansfield is a San Francisco based photographer whose work explores time and how it affects our perceptions of what we see. Born in New Jersey in 1974, Kerry graduated with a Bachelor’s Degree in Photography from UC Berkeley and did further studies at CCA to refine her sense of space and architecture. 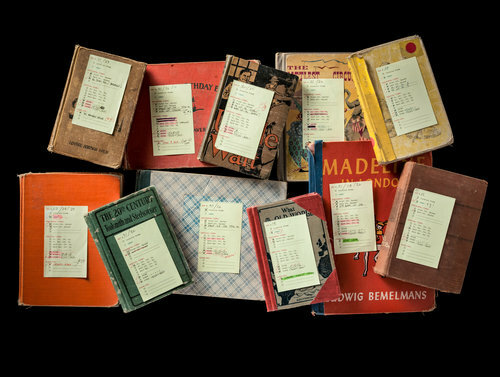 Her latest body of work, Expired, is a visual study of the well-traveled, time-worn faces of ex-library books that delves into the disappearing shared experience found only in a communal library book. The volumes documented in Expiredserve as specimens akin to post-mortem photography in the Victorian Era when family members only received the honor of documentation upon their demise. Each photograph similarly serves as an homage, giving the books a new life, as portraits of the unique shared experience found only in a library book. 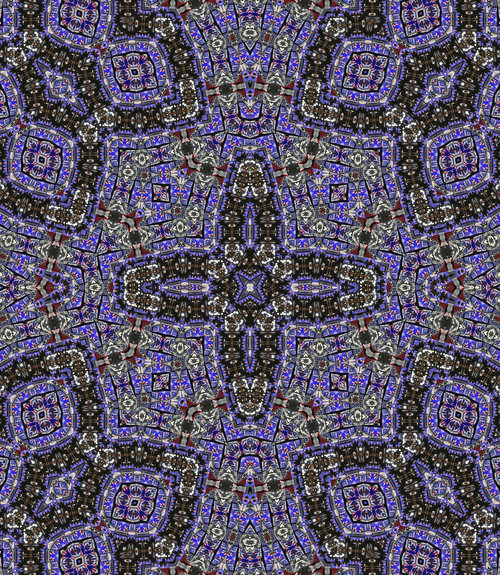 San Francisco based visual artist and writer Steven Seidenberg is interested in the peculiar structures in our everyday life that are integral to modern living, but are oftentimes overlooked. For this artist talk, Seidenberg will discuss his first book of photographs Pipevalve: Berlin, which images a cast-iron drainage pipe structure used in GDR era construction, and the ways in which that totemic structure reflects the character of the city that surrounds it. Seidenberg has upcoming exhibitions in Rome and at the University of Rochester. Additionally, he is co-editor of the literary journal pallaksch.pallaksch. (Instance Press), and curates the False Starts reading series at The Lab in San Francisco. 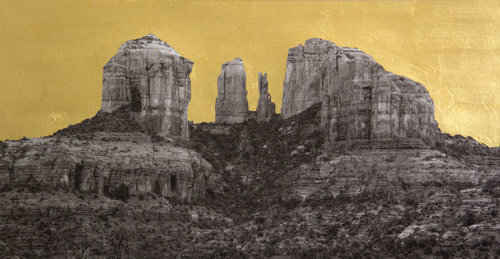 Steven Seidenberg has work in this year’s SFC Annual Benefit Auction on Saturday October 28th. 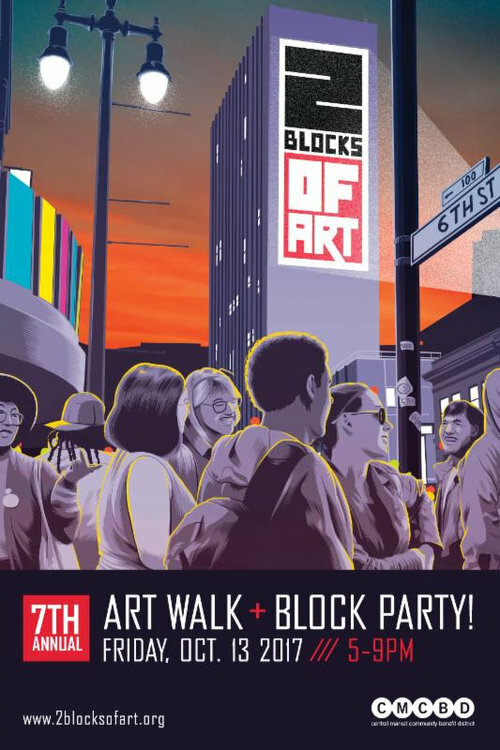 Please join us for the 7th annual 2 Blocks of Art art walk featuring photography, painting, and music by over 75 artists at 25 different locations on 6th Street between Market and Howard. Dance, listen to live musical performances, and view a variety of art exhibits in near-by galleries, bars, restaurants, and storefronts. New this year will be a large-scale lighting art projection on the back of 16-story high 995 Market Street. The lighting art projection will begin shortly after 7 PM and the viewing area will also include a stage for entertainment. Presented by the Central Market Community Benefit District and Urban Solutions, 2 Blocks of Art is free and open to the public. Walking maps and more information is available here. Walkthrough starts promptly at 6 PM! Please join us Thursday, October 26th from 6 - 9 PM for the preview reception to our 2017 Benefit Auction. The reception features a "Curator's Picks" walkthrough led by SFMOMA Photography Curator Emeritus and field expert Sandra S Phillips and will be hosted by Kerry Mansfield and RJ Muna. Sandra will begin the walkthrough at 6 PM sharp! Many thanks to all of our contributing artists, sponsors, donors, volunteers, and bidders for making this year's SFC Benefit Auction a success! Supporters like you keep our doors open, allowing us to continue supporting innovative and emerging photographers in the Bay Area and around the globe. We are so happy and thankful! 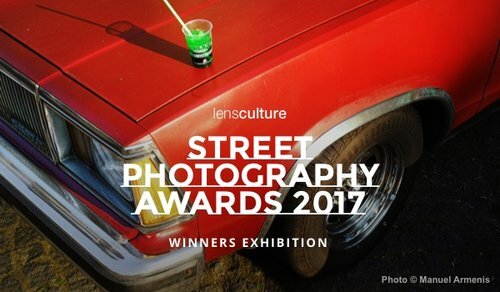 Please join us on the evening of Wednesday, November 15 for the opening reception of “LensCulture Street Photography Awards 2017" at SF Camerawork in San Francisco. Meet many of the talented photographers as well as a part of the LensCulture team! All current members of SF Camerawork are invited to participate in our monthly members' critique. This is a great opportunity to get direct feedback on your work and photographic practice by SF Camerawork's staff and wider photographic community. This month we are very pleased to be joined by special guest Janet Delaney, a photographer and educator based in Berkeley, CA. Janet Delaney is currently documenting the rapid transformation of the SoMa district of San Francisco an area that was the focus of her earlier project, "South of Market 1978-1986". Her work has been shown nationally and internationally, and her photographs are in collections such as the San Francisco Museum of Art, the de Young Museum, and the Pilara Foundation among others. If you are interested in participating in the November critique, please email kristina@sfcamerawork.org with the subject line "November Members' Critique." Spots fill up quickly so don't wait to sign up! Please join us Thursday, December 7th from 6 - 8 PM for the opening reception of our exhibition LANDMARK: Yosemite Through the Lens of Contemporary landscape Photography featuring artists Binh Danh, Mark Klett & Byron Wolfe, Ted Orland, Millee Tibbs, and Jerry Uelsmann. At the reception, exhibiting artist Millee Tibbs will provide a brief walk-through of her work, and curator Cara Goger will introduce the exhibition. 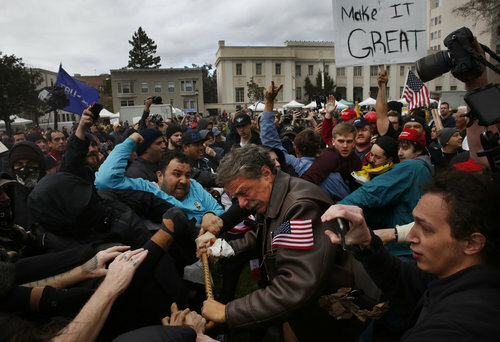 Leah Millis, Tom Condon of San Francisco, center, a Trump supporter, becomes entangled in the center of a fight after attempting to push anti-fascist protesters back with his cane during a Pro-President Donald Trump rally and march at the Martin Luther King Jr. Civic Center park March 4, 2017 in Berkeley, Calif.
Join us in the gallery on Tuesday, December 12th, with photographers Leah Millis and Lewis Watts for the final evening of this year's Storytellers lecture series. The Storytellers lecture series is curated in collaboration with Judy Walgren, a Pulitzer Prize-winning photographer and presents cutting-edge photographers from across the country whose approach to visual storytelling often blurs the lines between journalistic, documentary, and fine art photography. The "story" embedded in a photograph or group of photographs is what creates the understanding and connection between audience and photograph. Photojournalism has been the cornerstone of this narrative approach to image-making, but with shifting trends in photography production and consumption, Storytellers aims to broaden the conversation in and about successful modes of photographic practice. Born and raised in Denver, Leah Millis joined the San Francisco Chronicle in 2013 as a staff photographer. Since then, she has covered the city's homelessness crisis, California's historic drought, and many subjects in between. Her most recent stories include the devastating Northern California fires and the aftermath of a family torn apart by deportation. In the new year, she will be joining Reuters in their Washington D.C. bureau to cover the president and Capitol Hill politics. Lewis Watts is a photographer, archivist, curator, and Professor Emeritus of Art at UC Santa Cruz, where he taught for 14 years. 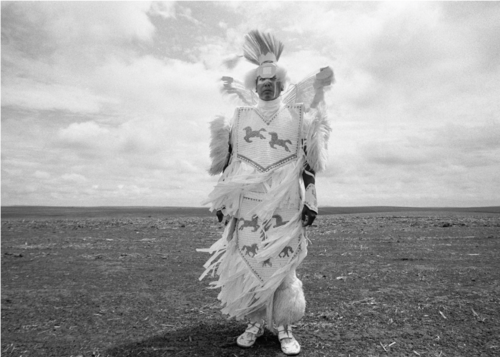 His work focuses primarily on the African diaspora. He is the author of Harlem of the West: The San Francisco Fillmore Jazz Era and New Orleans Suite: Music and Culture in Transition. His current photographic projects explore black presence in France as well as migration throughout Europe, the Middle East, and Africa. Additionally, he is also working on an archive project decontextualizing historical books and artifacts by and about African American authors from the 19th century and early 20th century. Work from this research has been shown at the Amistad Center for Art and Culture and Trinity College in Hartford and the Rena Bransten Gallery in San Francisco. All current members of SF Camerawork are invited to participate in our monthly members' critique. This is a great opportunity to get direct feedback on your work and photographic practice by SF Camerawork's staff and wider photographic community. To get in the holiday spirit, we will end critique with a holiday print exchange. 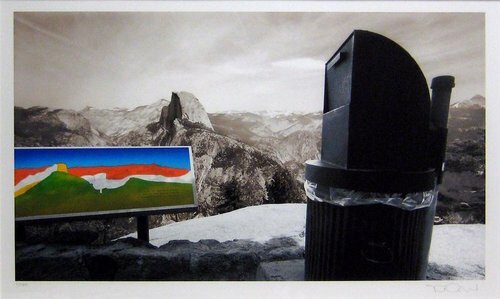 Bring a photograph to swap and leave with a new print. If you are interested in participating in the December critique, please email kristina@sfcamerawork.org with the subject line "December Members' Critique." Spots fill up quickly so don't wait to sign up! Please join us on Tuesday, December 19th for an evening of artist talks and book signings with photographers Jenny Sampson and Stephen Albair. For over seven years, San Francisco-based photographer Jenny Sampson has been making tintype portraits of skateboarders in a portable darkroom that she carries to skate parks around California, Oregon, and Washington. These captivating images of skaters are presented in Sampson’s first monograph Skaters: Tintype Portraits of West Coast Skateboarders, which was published by Daylight Books this past October. Jenny Sampson earned a B.A. in Psychobiology in 1991 from Pitzer College and has since dedicated her time to her photographic endeavors, which include wet plate collodion, traditional black and white photography, and commissioned portraits. She has exhibited her work nationally and internationally. When not in the field or the darkroom, she pursues another chemically-related talent -- cooking professionally. 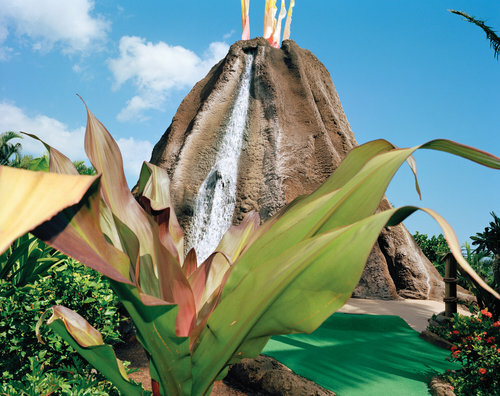 Photographer Stephen Albair has been working in both 2-D and 3-D media for over 40 years. He is known for his arresting autobiographical imagery that uses tableau photography, in which found objects are arranged with collages and photos, like players on a stage at the moment of action. Albair will show work from his third book, False Bloom, which highlights his writings in tandem with his photography. His work is in many public and private collections, and he has exhibited nationally and internationally, most notably in Bangkok, Thailand, launching three major exhibitions. Here in the Bay Area, Albair is also known as a college teacher, lecturer, and a visiting artist. SF Camerawork will be closed for the holidays December 23rd through January 8th. The gallery will reopen with our current exhibition LANDMARK: Yosemite through the Lens of Contemporary Photography on Tuesday, January 9th.